Every year at the Mobile World Congress in Barcelona, who’s who of tech industries gather under one roof to showcase what they have been brewing behind the curtains, and we get to know what the current year flagship phones are going to be like. This year too we saw some crazy ideas implemented perfectly by different OEMs and here are a few which you can’t afford to miss. One smartphone technology innovation that impressed us the most was Oppo’s 5X Zoom camera. Oppo has finally overcome the most challenging hurdle when it comes to smartphone camera i.e. Optical Zoom. To facilitate 5X optical zoom without any camera bump, Oppo uses a traditional camera sensor alongside an offbeat Telephoto lens assembly. Unlike the regular camera where light directly beams onto the sensor via lens, it uses a prism or mirror up front that diverts light through lens assembly onto the camera sensor that is pinned at 90-degree. The trick is to embed lens assembly along the body (rather than stacking all 50 components vertically) and divert light through it using a high precision prism. Moreover, this prism is also optically stabilized and that successfully eliminates motion blur even when you are shooting at 5X Zoom! The prototype that Oppo carried to MWC made it clear that this ingenious tech actually isn’t another modern day snake oil and does work as advertised. If there’s one thing that concerns every smartphone user in the world that would it’s their phone’s battery. While the advancement in battery capacities is unlikely to ever match our insatiable appetite, rapid charging is strongly emerging as the next best thing. And Meizu claims to have perfected it. 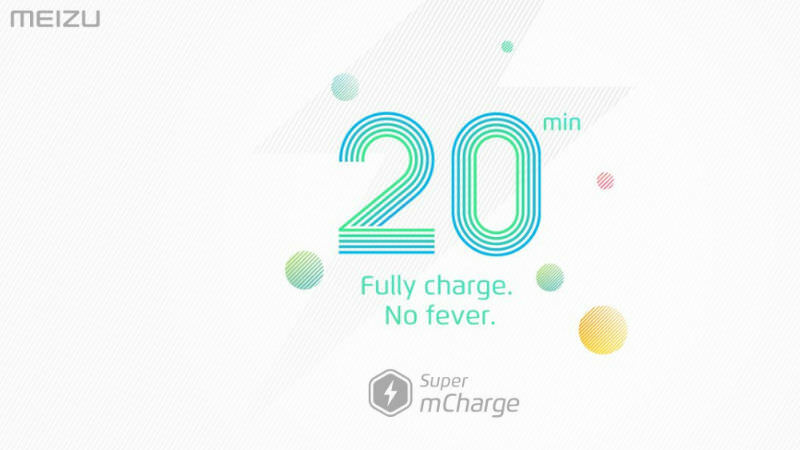 At MWC 2017, the Chinese smartphone manufacturer Meizu showcased its new ‘Super mCharge’ technology which claimed to refill 3000mAh battery from 0 to 100 in 20minutes flats. At MWC 2017, the Chinese smartphone manufacturer Meizu showcased its new ‘Super mCharge’ technology that can refill a 3000mAh battery in just 20 minutes!! Meizu’s fourth generation charging tech utilizes a high-voltage direct current (HVDC) transmission system which can channelize up to 55W of power through its 11V/5A charger. In comparison, existing battery chargers max out at 25W. We’ll probably get to verify these claims with the next Meizu flagship. Sony is well known for its imaging sensors that can be found in quite a few premium smartphones. At the MWC 2017, Sony showcased its latest Triple Stacked CMOS sensor implemented in its powerful flagship phone, the Xperia XZ Premium. This new sensor is extremely fast, thanks to the DRAM layer stacked between sensor and ISP, and thus can shoot super slow motion videos at a stunning 960fps! You can see how that can work a miracle and make your camera a lot more fun by watching the video sample above. The HDR 10 or for that matter Dolby Vision is not entirely new phenomena but till a few months back it was sort of exclusive to the high-end smart televisions, mostly the OLED TVs. Recently at MWC, LG announced its 2017 flagship smartphone G6 which became the first smartphone to have HDR 10 and Dolby Vision. Though on the next day of LG’s announcement Sony also showcased its Xperia XZ Premium which comes with 4K HDR 10 display. Samsung Galaxy Tab S3 too announced at the same event comes with HDR capabilities.Though on the next day of LG’s announcement Sony also showcased its Xperia XZ Premium which comes with 4K HDR 10 display. Samsung Galaxy Tab S3 too announced at the same event comes with HDR display capabilities. So why so much fuss about HDR 10 and Dolby Vision you may ask? Well, these displays are best suited for video playback. HDR ensures richer colors, brighter highlights, and much better contrast. However, HDR content is necessary to relish all that goodness and thus it’s a good thing that services like Netflix and Amazon Video are all set to start streaming HDR content on mobile devices. You might not have heard of Goodix, but it’s an influential Chinese technology company known for manufacturing fingerprint readers which can be found in devices from globally familiar brands like Huawei, Oppo, Vivo, Xiaomi, ZTE, LG, Nokia, and ASUS. At the Mobile World Congress, the company showcased its first ‘Indisplay fingerprint sensor’ that can be easily embedded below the display. In other words, this will help manufacturers implement front-mounted fingerprint reader without the presence of a physical home button. Something that Apple is also reportedly going to implement on its next iPhone 8. It is not exactly a smartphone technology but it’s quite exciting nonetheless. The Xperia Touch is a portable projector that is capable of converting your drawing room wall, kitchen table, or for that matter, any other display into an Android-powered touchscreen. There is still room for improvement and we are not sure if you would want to $1600 on it, but the potential here is real.